Looking to get stuck in to the best fantasy novels ever? Want to explore faraway lands, encounter mysterious character and experience magic beyond your wildest dreams? The right fantasy novel can transport you into any kind of world, leaving you turning page after page as you get drawn deeper into the story. Below, we’ve listed the 25 best fantasy books of all time. Our list includes everything from high fantasy to science fantasy, fantasy/horror and other subgenres, with some of the most important fiction of the 20th and 21st centuries included. A Song of Fire and Ice is a series by George R.R. Martin. 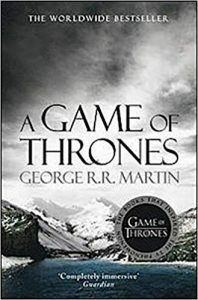 Best known as the inspiration for the massively popular Game of Thrones TV series, A Song of Fire and Ice is one of the top-selling fantasy series in literary history. This collection includes all seven volumes in the series, making it a great introduction to Martin’s work. If you’re a fan of the TV series, or just a fan of high fantasy in general, you’ll have a blast reading through the original novels and viewing the fold-out map of Westeros. One of the most famous works of fantasy ever, Alice’s Adventures in Wonderland was originally published in 1865. The story follows young child Alice as she falls into a strange and mysterious fantasy world after stumbling down a rabbit hole. 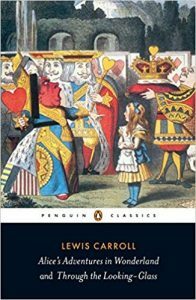 This collection features Alice’s Adventures in Wonderland and Through the Looking Glass, the story’s sequel. Aimed at young adults and more experienced readers alike, Alice is a timeless, wonderful read for fans of classic fantasy fiction. 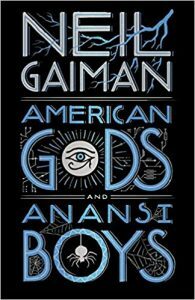 This two-part collection of Neil Gaiman novels includes his best works — the well-known and acclaimed American Gods and Anansi Boys. Both published in the early 2000s, these novels both gained immense critical acclaim after they were published. American Gods focuses on the experiences of Shadow, an ex-convict who is released from prison after his wife’s sudden death. After Shadow is abducted, he discovers a completely separate environment populated by the New Gods. Set in England and Florida, Anansi Boys follows “Fat Charlie” Nancy as he discovers new, mysterious information after the death of his father. The first novel in the popular Discworld series by Terry Pratchett, The Colour of Magic burst onto the scene in 1983. 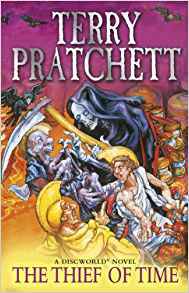 Smart, funny and thought-provoking, the novel follows Rincewind, a failed wizard based in the bustling city of Ankh-Morpork. 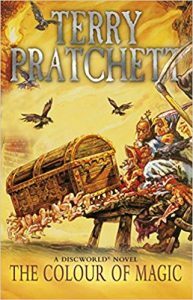 After Rincewind tries to flee the city with part of his payment for a job, he’s captured and given an interesting, challenging task. The first in the Discworld series, The Colour of Magic is a great read for fans of Terry Pratchett’s work or the comic fantasy genre in general. 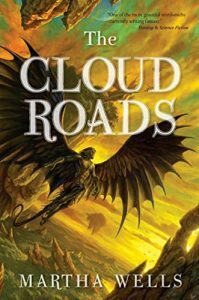 Published in 2011, The Cloud Roads is an interesting work of modern fantasy fiction. It follows Moon, a shapeshifter who has spent his entire life hiding his true nature, as he finds someone who seems to know exactly how to help him. As Moon’s adventure continues, he learns more about himself, including the important role he plays in the balance of power in his colony. Smart, interesting and fun to read, The Cloud Roads is a great modern fantasy novel that’s perfect for fans of unique, interesting settings and stories. 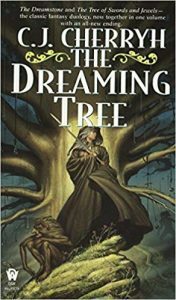 Written by C. J. Cherryh, The Dreamstone is the first installment in the Ealdwood Stories series, with Tree of Swords and Jewels its sequel. Set in Ealdwood forest, The Dreamstone follows Arafel, a Daoine Sidhe who stayed behind after the other Daoine Sidhe mortal Earth. After men enter the forest, Arafel is thrown into the middle of a conflict. At under 200 pages, The Dreamstone is a fast-paced, exciting read. Its sequel, Tree of Swords and Jewels, is also a fun read, with its roots in Celtic mythology. Epic, exciting and fun, this pair of fantasy novels is a great option for weekend or evening reading. 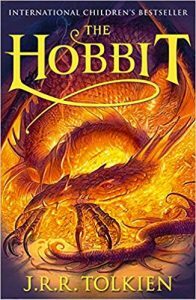 One of the most well-known fantasy novels of all time, The Hobbit follows Bilbo Baggins as he seeks out a fortune guarded by Smaug, a fearsome dragon. Over the course of the book, Bilbo encounters a variety of unusual characters, from trolls to the elves of Rivendell. Published in 1937, The Hobbit was an immediate success. It’s since become one of the most popular fantasy novels of all time. Aimed at young adult readers, The Hobbit is a unique, fun and timeless adventure that acts as a great introduction into the world of fantasy fiction. Winner of the American Book Award and a Locus Award for Best Horror Novel, The Changeling is a horror/fantasy novel that follows Apollo Kagwa, an exhausted parent, as he searches for his missing wife and child. Kagwa’s journey takes him to a variety of unique environments and settings, including places he thought he’d never see again. 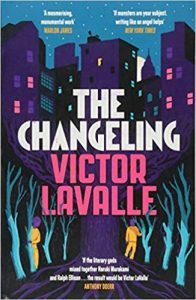 An engaging, thought-provoking blend of fantasy and horror, The Changeling is a great read for fans of Victor LaValle and horror/fantasy as a genre. The first book in the Quint Saga, The Curse of the Gloamglozer follows fourteen-year-old Quint Verginix as he travels with his father, renowned sky-pirate Wind Jackal, to the floating rock city of Sanctaphrax. After arriving in the city, Quint must venture deep inside the rock, discovering a terrible secret in the process. Aimed at young adults, The Curse of the Gloamglozer is a fun novel that’s perfect as an introduction into the world of fantasy fiction. 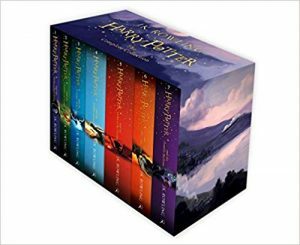 The most famous and popular fantasy series of the 1990s and 2000s, the Harry Potter books are a fantastic introduction to fantasy fiction for children and young adults. Starting from his first year at Hogwarts, the series follows Harry Potter as he develops his skills as a wizard and takes on evil forces. Throughout the series, more of Harry’s past is revealed as his friends and enemies grow more emboldened and determined to thwart him. Extremely popular, the Harry Potter series is packed with interesting characters and memorable moments. A must-read series for children interested in fiction, this seven-part series offers both a great narrative and a variety of important life lessons for young adults. Perhaps the only fantasy series more well-known than Harry Potter, The Lord of the Rings is the masterwork of J. R. R. Tolkien. The books follow Frodo Baggins and his companions as they set out to destroy a magic ring inherited by Frodo, believed to once be owned by Sauron. Split into three separate volumes, The Lord of the Rings is the definitive epic fantasy series. It’s full of unique, incredible characters and epic action, with a mystical setting that keeps you drawn in from beginning to end. 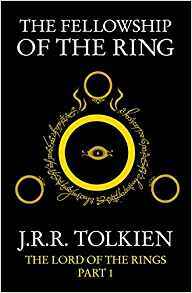 Arguably the most enduring work of fantasy fiction ever, this edition of The Lord of the Rings contains all three volumes and is a perfect introduction to the series both for young adults and for older fans of fantasy fiction. 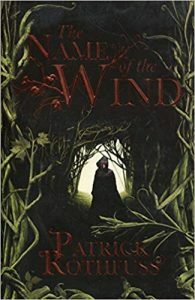 The first book in the Kingkiller Chronicle series, The Name of the Wind follows Kvothe, a man rumored to have thrown the world into war after assassinating a king. A sword fighter, magician and musician, Kvothe retells his childhood up until a traumatic, terrifying moment. Split into two sections, The Name of the Wind switches between the third and first person as it travels from the present to the past. A modern staple of the heroic fantasy genre, The Name of the Wind is a great read for fans of classic sword and sorcery stories. One of the most well-known and iconic fantasy series of all time, The Complete Chronicles of Narnia includes all seven of the Chronicles of Narnia novels, making it the perfect entry point into this smart, engrossing series. Set in Narnia, a fictional world of magical beasts and myths, the seven books contain stories from the various children who experience this world. In the seven books, we see the original creation of Narnia, as well as the world’s eventual end. 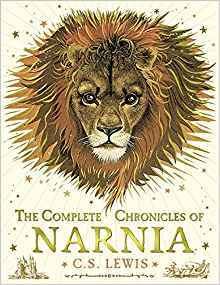 Iconic in the world of fantasy fiction, the Narnia series is a great read for young adults and fans of the genre interested in experiencing one of its best-known series. The 26th book in the popular Discworld series of novels, Thief of Time is one of the series’ most acclaimed entries. The story follows Jeremy Clockson, a young clockmaker who has been hired by the Auditors to build a flawless clock. What Clockson doesn’t know is that his creation could stop time, permanently altering the entire universe. Shortlisted for the 2002 Locus Award for Best Fantasy Novel, Thief of Time is one of the most popular entries in the Discworld series and a great read for young adults. 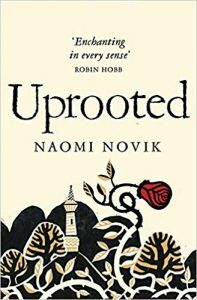 Published in 2015, Uprooted is an engrossing fantasy novel by Naomi Novik. Set in the magical Kingdom of Polnya, the story follows Agnieszka, a teenage girl from the village of Dvernik. After Agnieszka is chosen by the Dragon, a local wizard, as a form of payment in exchange for protecting the region, Agnieszka starts to discover her own magic abilities, as well as the true power she has. The winner of several awards, Uprooted attracted critical acclaim when it was published. Smart, unique and interesting, Uprooted is a fascinating read. 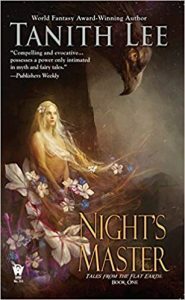 If you’re a fan of high fantasy and classic stories, you’ll find a lot to like in this mid-length novel. The first novel in the Tales From the Flat Earth series, Night’s Master tells the story of Azhrarn, the Prince of Demons, through his experiences with Sivesh, a young mortal boy, Zorayas, the daughter of a fallen king, and an engaged girl whose groom is turned into a monster. First published in the late 1970s, Night’s Master is the first of five books in the Tales From The Flat Earth series. If you’re a fan of classic 20th century atmospheric fantasy, you’ll find a lot to enjoy while reading these influential novels. 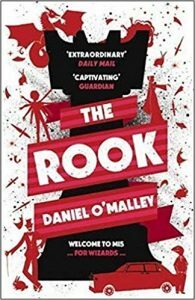 The debut novel of Daniel O’Malley, The Rook follows a nameless woman in her thirties, who after waking up surrounded by corpses in a park, discovers a letter in her pocket informing her of one of the former identity of the body she’s inhabiting. Unique and thought-provoking, The Rook involves elements of contemporary fantasy, such as an ancient and mysterious group. 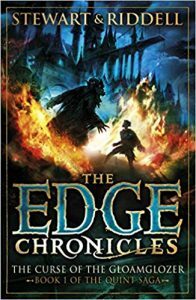 Aimed at more experienced fans of fantasy fiction, it’s a fun, engaging read that’s perfect for evenings and weekends. Based on classic stories about the Knights of the Round Table, The Once and Future King is an acclaimed mid-20th century fantasy novel. First published in 1958, it’s set in a fictional version of Britain known as Gramarye and follows the early life of King Arthur. Unlike most books based on the King Arthur legend, The Once and Future King gives a range of new qualities to the Arthurian characters. 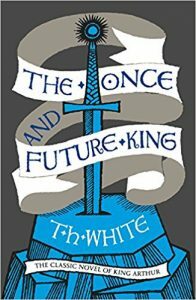 Entertaining and unique, The Once and Future King is a great read for fans of Arthurian stories and classic mid-20th century fantasy novels. The first novel in the Broken Empire Trilogy, Prince of Thorns is a post-apocalyptic fantasy novel written by Mark Lawrence. Prince of Thorns follows Jorg Ancrath, the eventual leader of the Brotherhood. 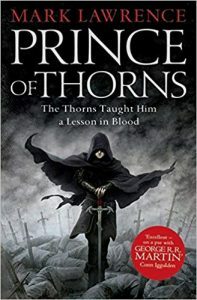 Set in Europe in the wake of an apocalyptic disaster, Prince of Thorns combines elements of thriller fiction with a classic fantasy feel, making for fascinating reading. If you’re a fan of classic fantasy and adventure novels, you’ll find a lot to enjoy about Prince of Thorns. Its sequels, King of Thorns and Emperor of Thorns, expand on Ancrath’s future, with a similar feel to the first installment. 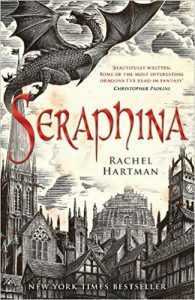 The debut novel of American writer Rachel Hartman, Seraphina follows sixteen-year-old court musician Seraphina as she becomes pulled into a mystery after the death of the Crown Prince, Rufus. Published in 2012, Seraphina won the 2013 William C. Morris Award for best young adult work by a debut author. Ideal for older fans of fantasy fiction and young adults alike, Seraphina has a smart, mysterious tone and a plot that keeps you drawn in for its entirety. 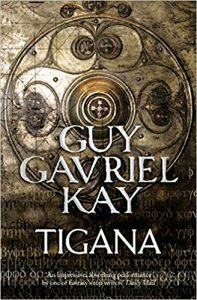 Published in 1990, Tigana is one of several novels by Canadian author Guy Gavriel Kay. Set in an entirely fictional world, Tigana takes place in the Peninsula of the Palm, a non-unified region that, despite sharing a common culture, is made up of multiple warring provinces. As two sorcerers fight for control of the region, a small group of rebels are working to take over the peninsula and regain control of their home. A classic of late 20th century fiction, Tigana is a great read for fans of fantasy stories set in European-like settings. 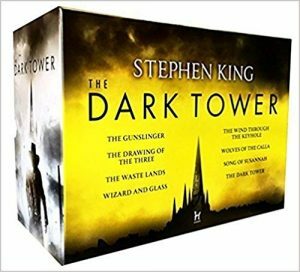 The Dark Tower Collection contains some of the best works of prolific fantasy and horror author Stephen King. Made up of eight novels, this collection includes the entire series, making it one of the best options available if you’d like to get started with King’s work. Equal parts fantasy, horror and science fantasy, the Dark Tower series links together numerous other Stephen King novels, making it a great read if you’re a fan. Creative, unique and brilliant, this series of eight novels is a great choice for fans of classic horror and fantasy fiction. The third book in the Winner’s Trilogy, The Winner’s Kiss depicts an incredible world in which a vast war has broken out. Arin, stuck in the middle of the action, still remembers Kestrel, who is trapped inside a labor camp in the north. 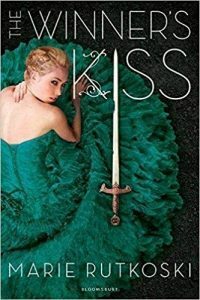 The Winner’s Kiss is an engrossing read on its own, with an intriguing story and a large variety of interesting scenes. However, it’s best read as intended — as the third installment in the series, after The Winner’s Curse and The Winner’s Crime. The sequel to The Fifth Season, The Obelisk Gate is the middle chapter in the Broken Earth series. Set on a supercontinent called the Stillness, the story follows Essun and his daughter Nassun as they deal with her orogene abilities. 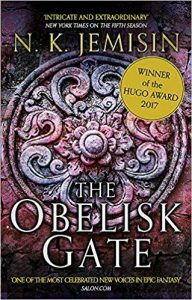 Critically acclaimed upon its release in 2016, The Obelisk Gate is an exciting read. While it’s best enjoyed after reading the preceding book, it’s a worthy title on its own. With this said, it does suffer from some “middle chapter” issues that encourage reading its sequel. 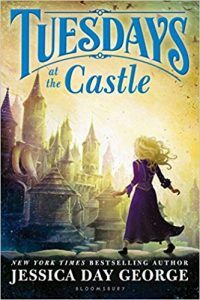 The first book in the Castle Glower series, Tuesdays at the Castle follows Princess Celie as she discovers a new room, turret or space inside a mystical castle. Smart and exciting, Tuesdays at the Castle is a great read for young adult readers. Followed up by four sequels, the entire Castle Glower series are recommended reading for kids aged eight to 12. The series, as well as Jessica Day George’s other work, has been nominated for or won a variety of awards, including a nomination for the 2011 Whitney Award. Hopefully this guide has helped to point you in the right direction if you’re new to the world of Fantasy books. It can be quite difficult to know where to start with the over-arching category of ‘Fantasy’, as it can encompass so many sub-genres that blur the lines between sci-fi, mystery, thriller and much more. The books you’ve seen are in this guide for a reason. From survey and polls to our own research and personal favourites, these fantasy books will get you where you need to be into the world of tomorrow!